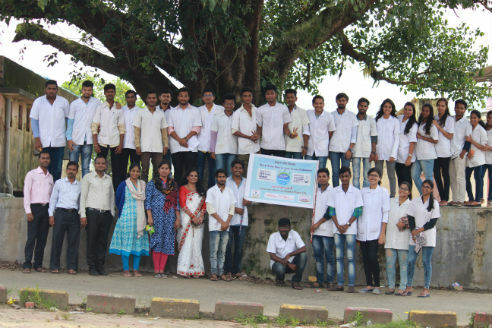 Pune: Sinhgad Technical Education Society’s students from across campuses in Pune have displayed their commitment in saving India’s lifeline – rivers. The chain of institutes in collaboration with the Isha Foundation’s Pune office conducted rallies across campuses in the city. Walks were conducted at the Vadgaon and Lonavala campus in support of the cause where more than thirty thousand students participated. Various presentations and talks were held at the campuses to make students understand about the important role played by the rivers of the country. Prof. N. M. Navale, Founder President, Sinhgad Institutes, also received the certificate of appreciation by the Isha Foundation for their contribution and support on the ‘Rally for Rivers’ Campaign.